I’m reminded of the old 60’s song, Something’s happening here… so ominous and prescient. Everyone I know is anxious. 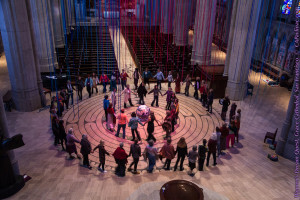 I need a deep dive into my consciousness to remember the peace I felt at last week’s beautiful Women’s Dream Quest or the moments in September on the labyrinth at Chartres or the forest in Peninha, Portugal or amid the stones at Avebury. But yes, writing those words brings me back to what is essential. This is my practice until Wednesday. I hope it helps. I was just speaking to my friend about how many articles we had both read trying to understand the phenomena of the Republican candidate as Michelle Obama so elegantly names him. Why? What have we missed as a culture? Is this the shadow of the American psyche as Chopra suggests, the just desserts of a greedy nation built by desecrating and decimating the land and lives of our indigenous brothers and sisters. Is this about the inevitable misogyny that rises with our first Grandmother president? The chaos and ugliness are raw and disturbing. The gulf is wide. And in the midst of this, I read, primarily on FB, about the growing movement at Standing Rock. The First People of this land, this turtle island , are gathering. They are singing and praying. They are capturing the imagination of those of us who have long and guiltily known about their plight. They are publicizing the insane use and transport of fossil fuels. They are reminding me of the debt of gratitude I owe to Native American Spirituality . I bring that spirit into every circle I dream, calling the directions, calling the totems, remembering the love of land. 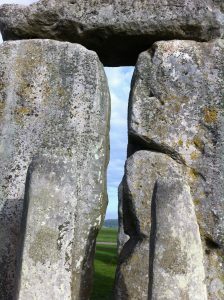 When I go to the great standing rocks of Stonehenge, and Avebury, my indigenous soul reverberates, reme mbers what it is like to love the land and want to protect the water. Something is happening here. Hillary is woman, a mother, a grandmother. She talks about it taking a village to raise a child. I wonder if she knows that it takes a circle to raise a tribe, that it takes a practice of prayer and ceremony to heal a nation. I pray that she does. That along with progressive policies (Thank you Bernie) , a steady hand on the wheel of power, her cooperative experience of governing, that she will know that she has to rely on the power of the sacred feminine to take us to healing. I sense that she will have the Obamas (so very much gratitude to their steady, beauty, wisdom and grace) in her circle. Her kindly VP will be there. A circle of people who have dedicated their lives to public service will be there. And we will be there. we drafted a letter to Hillary with our blessings and prayers. Many of us wrote and we sent it off. The last thing we wrote was: You are part of our circle. This entry was posted in Uncategorized on November 5, 2016 by Judith.